Ma’Daerah is close enough to reach by car from KL, and along the way, we stopped for dinner in Temerloh, which is famous for its freshwater fish, especially patin, a kind of catfish. 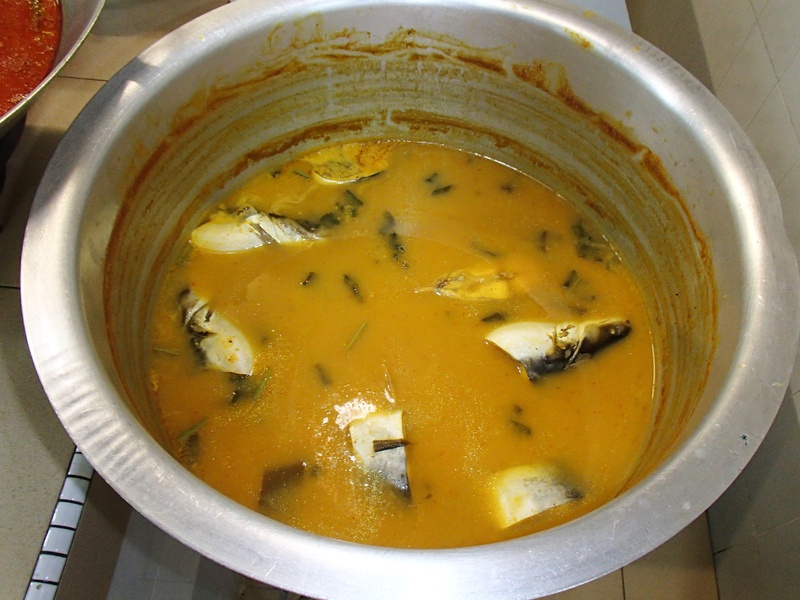 The rest stop we parked at — don’t laugh: some of the best food in Malaysia can be found at rest stops — had stall after stall offering ikan patin masak tempoyak, or patin cooked with tempoyak. 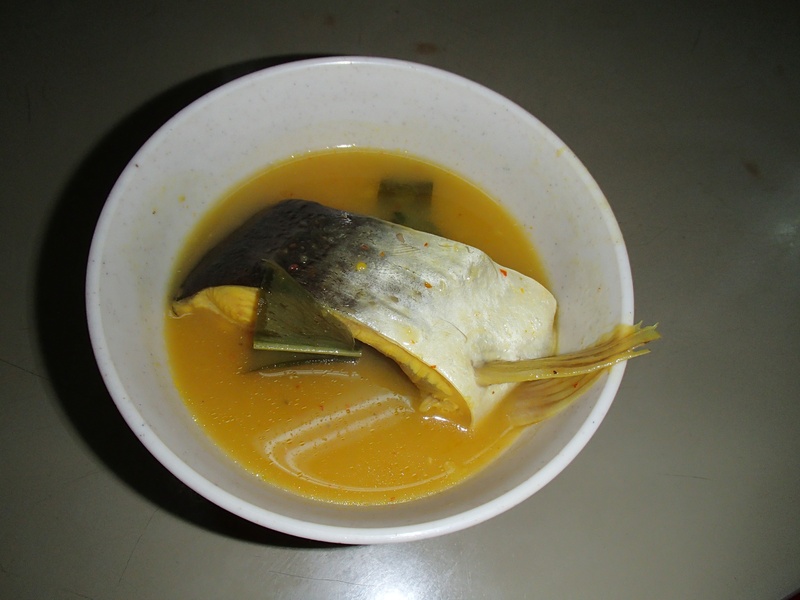 Ikan patin masak tempoyak. Tastes better than it looks. What’s tempoyak, you might ask? It’s fermented durian. Seeing as durian is already quite pungent on its own, I couldn’t imagine what it would smell like after fermentation. Judging from this dish, though, tempoyak might be actually be less potent than durian in its fresh glory. The broth was rich, with a mellow funkiness, and I can say that the patin is justifiably famous: the meat is delicate but savory, without any of the muddiness one normally associates with catfish. 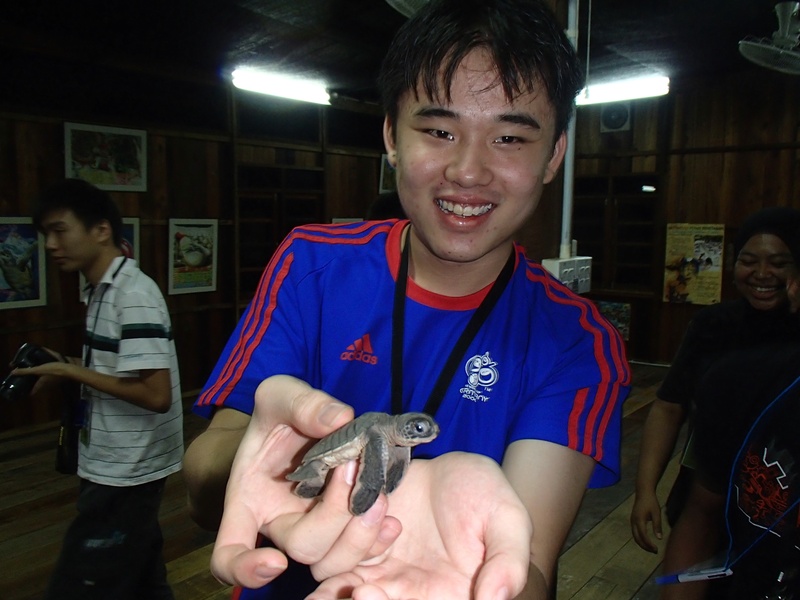 So if you’re ever in Malaysia during turtle-hatching season, go visit a turtle sanctuary, coo over some adorable (if doomed) baby turtles, and stop in Temerloh for some patin with tempoyak. You’ll be glad you did.